Come join Southern Excursions for a wonderful North West Adventure From San Francisco to Seattle via Eureka, Portland and Olympic National Park: the bohemian cities and natural beauty of three states are revealed, on this in-depth journey into the wild northwest. Price per person based on (double occupancy); Triple Rate: $3308. Single Supplement is an additional $1739. Optional Pre-night and post nights, rates to come at latter date, + insurance and transfers to/from airports will be available when rates are posted and also group air. Click the LEARN MORE button below for all the details. 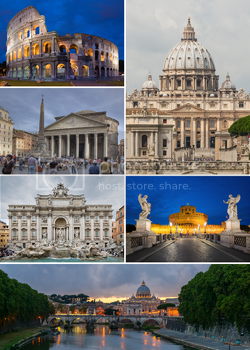 Welcome to Rome, the Eternal City. Relax after your journey or explore on your own. Meet your Travel Director and fellow travelers this evening for a Welcome Reception. Enjoy an orientation drive through the city - a perfect introduction to this beautiful city, the centre of which has been proclaimed a UNESCO World Heritage Site with its ruins, imposing monuments, statues and fountains. From Rome, visit the Commonwealth War Cemetery to commemorate those who died in the huge battle here during WWII, and view the Benedictine Abbey at Cassino, which was originally founded by Saint Benedict in the 6th century, making it one of Europe's oldest monasteries and a recognize centre of arts and culture. Next stop at the fascinating UNESCO World Heritage Site of Pompeii. Your Local Specialist takes you on a walking tour of the excavations buried for centuries under a layer of volcanic ash when Vesuvius erupted in 79 AD. See such sites as the Api-theatre, dating back to 80BC, and the Gymnasium which used to have a pool in the middle. You'll also see the Temple of Apollo and the impressive Basilica. Arrive later at your hotel in Sorrento. Join us for an evening of Neapolitan specialities at one of our favorite family-run restaurants. While you’re wined and dined, enjoy a cultural experience performed by local artists who'll take centre stage and demonstrate the famous Tarantella dance. Gain a Cultural Insight during a demonstration of the art of inlaid wood at a workshop in Sorrento. Take a ferry to the Isle of Capri, the isle of Sirens according to Greek mythology, and continue to Capri town by funicular railway. See the famous Piazzetta during your guided walking tour with a Local Specialist and spend some time people-watching at one of the local cafés. Drive south via Salerno and through Calabria. Travel across the straits of Messina to the rugged and historic island of Sicily and to the beachside resort town of Giardini Naxos below Taormina. This evening, enjoy dinner at your hotel. 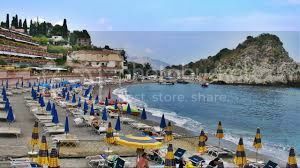 Your Local Specialist takes you on a walking tour of Taormina on the slopes of Monte Tauro overlooking the sea. Visit the Greek theatre and the sub-tropical terraced gardens. Stroll along the elegant Corso Umberto with a gelsi gelato and on to the Piazza for splendid panoramic views across the bay. Spend free time shopping for souvenirs and handmade lace on the Corso. Enjoy a full day to do as you please in this beautiful resort town. Shop, relax, see the sights of your choice or consider an Optional Experience. Whatever you decide, your Travel Director will be on hand to help you get the most out of your day. Tonight savor a delicious Be My Guest dinner at a beautiful Sicilian winery and restaurant overlooking Mount Etna. A fantastic Sicilian evening, you’ll enjoy a delicious dinner of Southern Italian specialities, with musical entertainment. With your Local Specialist, you’ll visit the most fascinating town in Sicily, once the capital of Magna Graecia, including the beautiful island of Ortygia. Entrance to the archaeological site of Syracuse is included. Enjoy views of Enna on the way to Agrigento, where your Local Specialist takes you to visit the Valley of the Temples - the finest Greek sanctuary in Sicily. See the splendid Temple of Concord and the Temple of Juno overlooking the sea. Travel to Erice and explore this famous hilltop medieval town in western Sicily with its cobbled streets, Norman castles and stunning views of the sea, salt pans and wooded hillsides. Perhaps take a walk to the ruins of the famed Venus Castle with its Balio Gardens. Before arriving in Palermo, the Sicilian capital, visit the chic seaside resort of Mondello, with its beautiful beach, popular with the elite Palermitans. Meet your Local Specialist this morning for a sightseeing tour of Palermo. See The Opera House of Palermo and the Cathedral. Travel to the town of Monreale for views of La Conca d'Oro and explore the magnificent 12th century Norman Cathedral. Later join your companions and celebrate with a Farewell Dinner at a local restaurant. A panoramic drive through verdant forest with spectacular views over the city of Palermo brings us to the summit of Mt. Pellegrino. Here we visit the grotto of Santa Rosalia, Palermo's patron saint. Later, with a Local Specialist, we explore and sample Palermitano street food at one of the most famous and colorful markets with its stalls of olives and spices. A wonderful opportunity to enjoy picturesque Sicilian everyday life. Say arrivederci to Sicily and your newfound friends at the end of a memorable holiday. Transfers are available. Conditions apply. Additional $539 added to $2950. Trip insurance is advised and is estimated to be $259.pp. This is optional. Air package will be offered when available. Pre-Night and Post Night are optional and will be available. Increase to 2018’s amount, and may also go down.